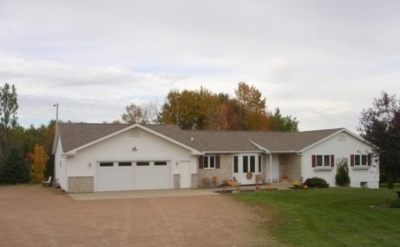 What more could you ask for, this beautiful ranch home has plenty to offer. The kitchen has an abundance of oak cabinets with desk area plus dinette and large formal dining with patio doors to 12&apos; x 28&apos; deck. The spacious living room overlooks the back yard which offers enjoyable entertainment by the wildlife. The master suite is huge and has a walk-in closet, full bath with jet tub plus separate shower stall. The main level full bath also has a jet tub.